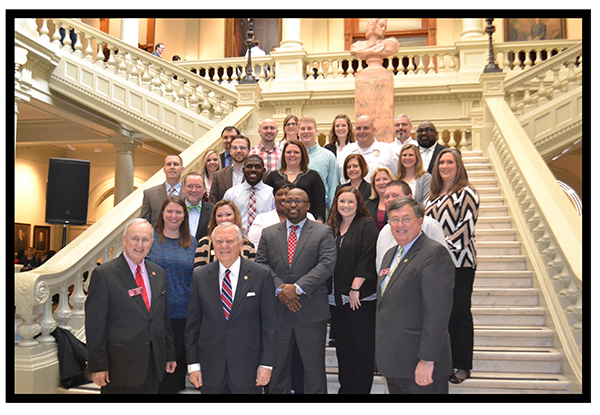 Leadership Calhoun/Gordon County was founded in 1988 under the auspices of the Gordon County Chamber of Commerce. It is presented by the Leadership Development Committee, led by Chair Dr. Michele Taylor (Calhoun City Schools) and Vice-Chair Betty Caylor (Mohawk Industries). There were 35 members in the charter class and as of 2018, there have been over 750 graduates of the program. The mission of Leadership Calhoun/Gordon County is to develop and enhance leadership skills among current, emerging and potential leaders of Gordon County.